2017 has been off to a great start over here at Don’t Panic Events. With successful events kicking off the year and some very exciting projects just around the corner, we’re feeling pretty good. So, what have we done already? Well, on January 19th we had the highly anticipated eCommerce Summit. 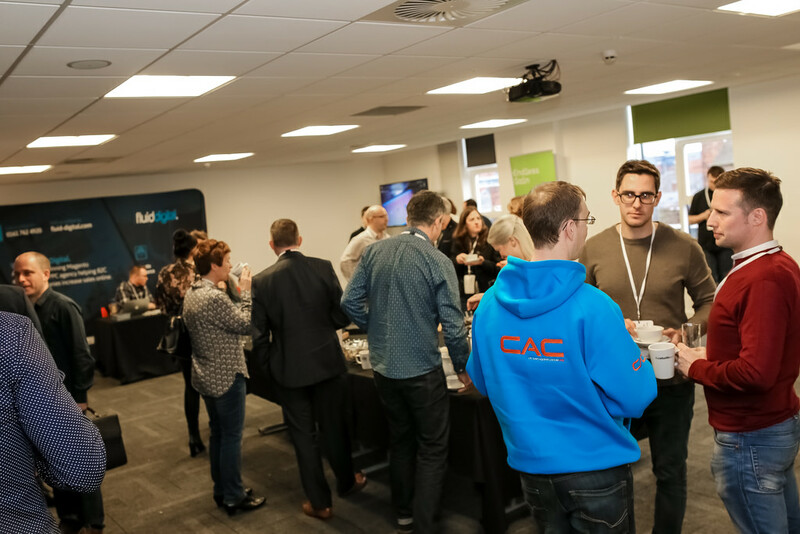 A free one-day event, it brought a variety of eCommerce experts, suppliers and brands together to share knowledge and experience of the industry – including advice on best practice and improvement. The event was a great success, with attendees commenting on the inspiring content and great networking. The keynote speakers were from companies such as Virgin Trains, Fluid Digital, dotmailer and Tech North. As well as hearing fantastic speeches, there was an interesting panel discussion and full case studies were shared. The insights that were tapped into at this event, included how to increase sales, the latest tools and platforms and cyber security! We felt we’d gained a whole lot of knowledge when the day was over. And from the sounds of the frantically scratching pens that filled the room, everyone else did too. We also had ample opportunity to network and talk to many different people of the eCommerce world. With a cup of coffee in one hand, and a delicious sandwich in the other, we mingled around the room and got to know the members of the industry that we’d brought beneath one roof. 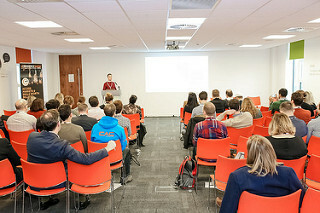 The event took place at The Studio Manchester, a hotspot conference and networking location. It had a very warm environment, with a contemporary feel – all in the heart of Manchester. The space was almost as fantastic as the event itself … almost, but not quite. 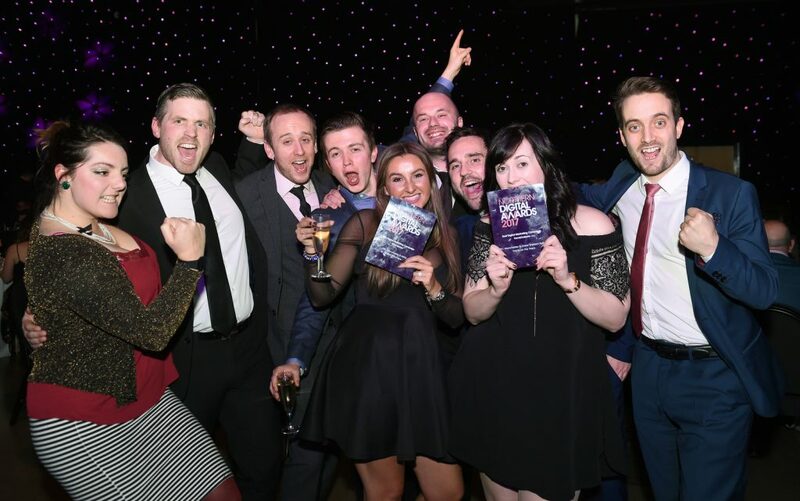 Just a week later, on January 26th, we held the Northern Digital awards. This was, of course, a very glamorous event with drinks in fancy flutes, beautiful dresses and sleek suits. 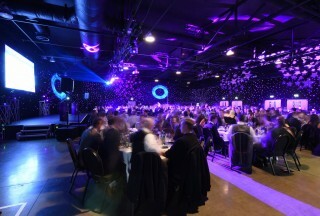 Held at the New Dock Hall at Royal Armouries in Leeds, this was fabulous ceremony was not to be missed. The evening was a great success, with showcases of well-deserved work and recognition for the faces behind amazing campaigns. The Northern Digital winners included teams from UCLAN, myclever agency & The Co-Operative Bank, South Yorkshire Police and Orange Bus. The winners were, of course, thrilled – it’s always wonderful when your hard work receives prestigious praise. (And these awards were judged by workers of Google, JD Williams and Tangerine)! But everyone else in attendance had high spirits too, the room was full of smiles and laughter, with great vibes throughout the entire event. As you can tell, January was an amazing month for us – which banished those New Year blues straight away! With the winter blues gone for good, we are now extremely excited for our upcoming events. The EU Search Awards extended deadline is this Friday (24th) so get those last minute entries in. The Educate North & UK Leadership Awards deadline passed last Friday and their University Entrepreneurs challenge is coming up at the beginning of March. There’s also our brand new MENA awards – with the deadline for entries in early March too. We’ve got a lot of exciting things on our plate at the moment and we cannot wait for it all. Want to hear more about our upcoming deadlines? Check out our events for 2017 here.